Mr. Payne has been practicing family law exclusively since being admitted to the bar in 2016. 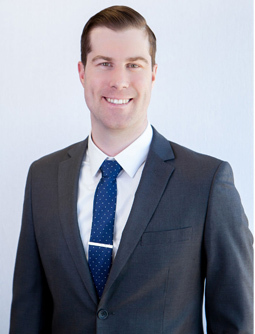 Mr. Payne worked as a law clerk, then associate, in a reputable family law firm in Beverly Hills before joining Harris • Ginsberg LLP in 2019. Mr. Payne is involved in a variety of practice areas within the firm, including dissolution of marriage and parentage actions, child custody and visitation, child support, spousal support, property valuation and division of property, dissolution of domestic partnerships, preparation of premarital and post-marital agreements and domestic violence restraining orders. Mr. Payne has also worked on numerous family law appeals. Mr. Payne’s technological proficiency makes him a unique asset in the digital age of family law practice.